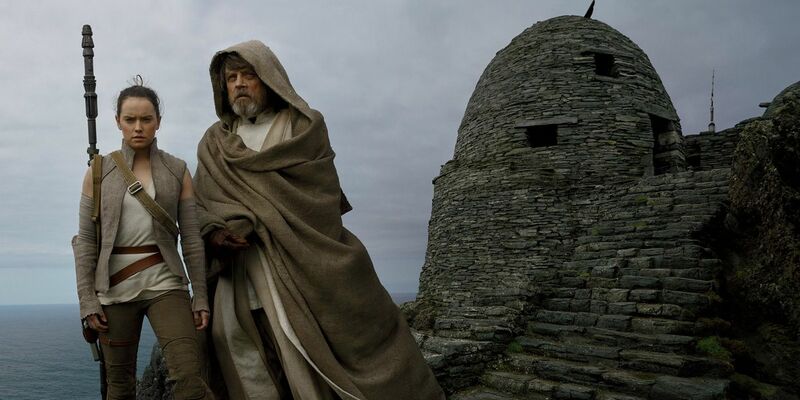 Star Wars: The Rise of Skywalker's title may not be referring to Luke – AiPT! The teaser trailer for Star Wars Episode IX was released today, and along it came the movie’s official title: The Rise of Skywalker. While the title almost assuredly immediately brings to mind the triumphant return of Luke — or, given the sinister laugh at the end of the trailer, Anakin — it may not be referring to a singular person at all. The Jedi Order was wiped out as a result of Order 66 during Revenge of the Sith at the hands of Darth Sidious and Darth Vader. The last remaining Jedi, Luke Skywalker, sacrificed himself at the end of The Last Jedi to allow what remained of the Resistance to escape the clutches of the First Order on Crait. The Jedi are gone…but in its wake, maybe a new order will arise? Arise….The Rise of Skywalker, perhaps? Maybe “Skywalker” in the title isn’t referring to Luke or Anakin or any one person at all. Maybe the new order of Force users who use their powers for good will be named Skywalkers, in honor of the greatest Jedi who ever lived. After all, as Luke said, “Nobody’s ever really gone,” and this would be a great way to preserve his legacy. There’s actually some evidence to back this up, as well. In The Force Awakens, Supreme Leader Snoke said “If Skywalker returns, the new Jedi will rise.” Skywalker returned, so all that’s left of that prophecy is for “the new Jedi” to rise. In Thrawn: Alliances, the Chiss word for Jedi is “Ozyly-esehembo,” or “Sky-walker.” In some cultures, Jedi and Skywalkers are already synonymous. While it appears as if the dark lord of the Sith is back, this time it may not be the Jedi who bring him down, but a new order created and named in honor of the greatest Jedi ever: The Skywalkers.